What is ESP+ Intuitive Evaporator Control Technology? ESP+ Intuitive Evaporator Control Technology is designed to replace traditional electro-mechanical refrigeration controls typically used on medium and low temperature applications. Why choose ESP+ Intuitive Evaporator Control? Up to 86% fewer defrost cycles. Remote monitoring and system control. Precise temperature control for prolonged product shelf life. 32-day history stored locally on the controller (additional history available). Remotely view and change system parameters and alarm settings. Improved evaporator performance by minimizing excessive frost on the evaporator. Eliminates ice buildup on surfaces and product. Energy savings through evaporator fan management. Complete pre-assembled package for quick simple installation. Improved system diagnostics and service through advanced alarm notification text/email. Complete isolation from condensing unit/no wiring between evaporator and condensing unit. The liquid line solenoid valve, fans, defrost heaters (where applicable), Electronic Expansion Valve and room temperature. 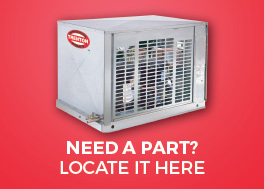 What is included with an Evaporator equipped with ESP+? ESP+ units include an Adaptive Demand Defrost controller, Electronic Expansion Valve, Liquid Line Solenoid Valve and an On-Board Display – all prepackaged and ready to install. What items are no longer required when using an evaporator equipped with ESP+? Separate time clock, thermostat, fan delay and defrost termination controls are no longer required. Do I need to program the controller? No. The controller comes pre-programmed from the factory with default settings for typical Air or Electric Defrost applications. More advanced settings can be accessed through the remote dashboard. Is there a remote display available for ESP+? No. The ESP+ controller comes complete with an on-board display mounted on the outside of the unit. How do I apply the controller to a single Condensing Unit with Multiple Evaporators? That depends whether the CU has unloading. If yes, then controllers can work independently. If no, the controllers should be bonded to work together, up to 8 for each CU. Does the controller use proprietary communications? No, the controller can be connected to through standard WAN or LAN network connections. Do I need a different controller for a cooler vs. a freezer? No, ESP+ can be used on medium and low temperature applications as low as -30ºF (-34.4ºC). Are any accessories required to locally or remotely communicate to ESP+? Yes, the only accessory needed is an Ethernet cable that connects the control to a local WAN or LAN. Communications is built into each controller. Is ESP+ capable of sending an e-mail or text? Yes, if the control is connected to an internet connection, it can be programmed to send an e-mail or text for any alarm condition. What refrigerants can I select with ESP+? 20 of the most popular refrigerants including R-404A, R-407A/C, R448A.